Holsten Galleries is the world’s premier online glass art gallery. It is the first virtual gallery dedicated exclusively to fine contemporary art glass. When and where was Holsten Galleries founded? The gallery was founded in Stockbridge, Massachusetts, in 1978. During the 1980’s, Holsten Galleries operated a second branch on Worth Avenue in Palm Beach, Florida. Why an online glass gallery? After 31 one years in business, Kenn Holsten sold the brick and mortar gallery, maintaining Holsten Galleries and continuing to represent most of the same longstanding glass artists. 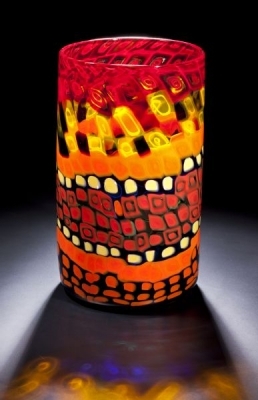 Here you can view a great selection of the finest art glass without leaving home. How does an online gallery work? Images of available works by the artists we represent are shown on this website. This is our list of featured glass artists. Inventory from each artist is set aside in the artists’ studios and shipped to glass collectors throughout the world upon purchase. Artwork is purchased through Holsten Galleries and then shipped to the client directly by the artist. Who are some of the artists shown at Holsten Galleries? The gallery specializes in the glass art of Lino Tagliapietra, Dale Chihuly, Jon Kuhn, William Morris and over forty other artists working in glass. The gallery has long-term relationships with most of its artists, many going back to the 1980’s. 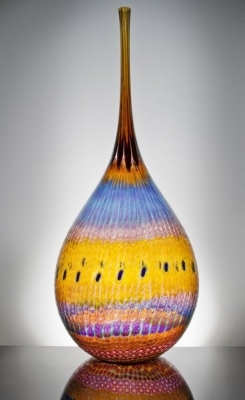 Holsten Galleries is therefore in a unique position to have access to a large inventory of the finest glass art works available. What is the mission of Holsten Galleries? We work with private collectors, museums and corporations in building collections of contemporary art glass. Owner Kenn Holsten enjoys ongoing relationships with glass collectors and often assists in curating their collections. Does Holsten Galleries have glass art works not seen on this website? Yes! The pieces shown on this website are, for the most part, in the exclusive domain of Holsten Galleries. In some cases the pieces represent examples of typical work that is no longer available. The glass artwork featured here represents a small sampling of a much larger body of work available through Holsten Galleries and we are happy to send images of other pieces. Thanks for visiting our glass art website. As an online glass gallery, we invite you to explore our site and to view the glass art of the world’s most creative and talented glass artists. Please feel free to contact us with any questions you may have about the glass artists or glass sculpture that you see here.